Chelsea Clinton might run for office. Rethink this. Rumors are that Chelsea Clinton is gearing up to run for office. This is troubling news insofar as it might keep the Clinton machine and its hangers-on in politics. It also seems like a questionable idea insofar as Clinton is a nepotist legacy case whose whole career to this point has been hopping from one dodgy patronage job to another, not exactly the ideal image for the Democratic Party. After graduating high school, Chelsea goes to Stanford and gets a degree in history and then goes to Oxford and gets a degree in international relations. So far, so banal. After a few years at the hedge fund, Chelsea decides to go back to school and pursue a doctorate at Oxford remotely from New York. While in graduate school, Chelsea becomes a board member for the media company IAC. For her efforts, she is paid $50,000 per year and given $250,000 in stock. IAC is controlled by Barry Diller who, along with his wife Diane von Furstenberg, is a major Clinton donor and family friend. Chelsea, along with her husband, failed hedge funder Marc Mezvinsky, has been spotted on luxurious vacations with Diller and von Furstenberg, including in 2015 when the whole crew went snorkeling on Diller’s yacht in Sardinia. But let’s be real. Ms. Clinton has this position only because she is the daughter of former President Bill Clinton and Hillary Rodham Clinton, the current secretary of state. This is clearly an appointment made because of who she is, not what she has done, one that defies American conceptions of meritocracy. Even most celebrity directors earn their way to such celebrity — sort of. Chelsea is still on the board of IAC. 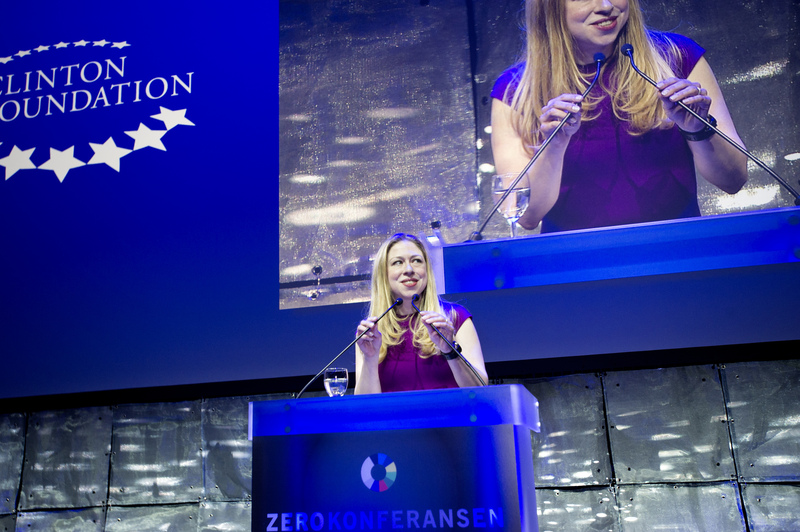 At the same time as she was getting a graduate degree from Oxford and sitting on IAC’s board, Chelsea had the honor of being selected for the board of the Clinton Foundation, where she is now vice chair. On March 16, 2017, Expedia created a new seat on its board of directors and then gave it to Chelsea. For this, she will be paid $45,000 per year and given $250,000 of stock. Expedia used to be a property of IAC, a company where Chelsea is also on the board. It was spun off as a separate company in 2005. Close Clinton family friend Barry Diller (also of IAC) is the chairman of the Expedia board and a senior executive there. If getting every job she ever had (most of which do not even appear to be real jobs) because of who her parents are was not enough, Bill and Hillary has made sure that the huge fortune they grifted over the years will pass to her with as little tax taken out as possible. You could not put together a more unappealing force in the world than what Chelsea Clinton represents, personally or politically.